Americans spend more than 10 hours a day in front of a screen and the number is increasing. Maybe that title is a little over the top. But the more I look into the effects of TV on life the more I do realize that it does ruin things in many ways. It’s easy to say that life is about balance. Too much bad, but a little is okay. A little ice cream is okay. A little alcohol is okay. Is a little TV okay? The problem with TV and a lot of other things is what we think is a “little bit” is actually too much. I know that’s happened in my life. Looking back, I can see that I’ve watched a lot of TV over the years. A little education maybe. I do like documentaries. But mostly wasted entertainment. Perhaps that’s okay, but there were certainly lots of other things I could have been doing. Including just sitting and thinking. Enjoying the present experience of life. So here are some of the reasons I’ve found that TV is ruinous for life. This one is kind of shocking to me. When you look at the current climate perhaps in the political world this finding becomes incredibly poignant. Research found that when kids are exposed to more TV they lose the ability to understand other’s beliefs. TV seems to make humans believe that others believe the same things. While that may be true in some cases it’s obviously not true in many instances. The result is that we don’t understand others. We don’t listen to others. We may struggle to get along with others. The link between TV and obesity was observed decades ago when TV became a staple in most American living rooms. Over time, that link has been studied and the evidence is very strong that TV doesn’t just correlate with obesity…it causes it. Some studies have found that when children watch TV they are generally more obese. That could be just a coincidence or maybe obesity was leading to more TV watching. But other studies have found that when TV time is cut back that people are likely to lose weight. I don’t know if studies have been conducted to see if losing weight results in less TV watching. 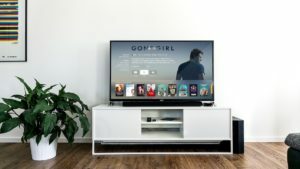 Obviously with all the growing awareness about the effects of obesity to our lives it’s important to look for any connection that can make us healthier including cutting back on TV. The advent of Netflix has been interesting for human life. It turns out that we’re watching an incredible amount of TV on the streaming service. In fact, 61% of people said that they’ve binge watched a TV show on Netflix. And the surprising thing was that most felt good about binge watching. It turns out that our minds are wired for binge watching. We feel good doing it. The stories captivate us. But that’s the danger. The more we learn about the harm TV does to us the scary it is to realize that it’s very addictive. Obesity obviously leads to bad health outcomes. Watching TV, all other things being equal, leads to all kinds of common causes of death including heart disease, cancer and more. Even if you’re active when you’re not watching TV you’re still at more risk for dying early if you spend hours each day in front of the TV. It can help a bit, but even if you’re working out you’re not doing much to help if you watch TV. TV is one culprit with eye strain, but it’s the combination of all the screens we look at throughout the day that is leading to an increase in eye strain among humans. We look at the computer screen, our phones, our tablets and TVs. It all leads to issues with our eyes including dryness and headaches. And it’s still up for clarification, but some evidence points to screen time leading to nearsightedness. The reason appears to be that screen time, including television, makes us lose our ability to focus on something. Our bodies and minds get itchy when it’s not being continuously entertained. We can’t sit and focus on something for more than a couple minutes at most these days. The study finds that those with the ability to focus on something for a longer period of time are better at performing various tasks. If you search for articles about the habits of wealthy people you’ll find a lot of information about reading and different activities and you’ll also find information about not watching TV. The wealthier you are the less time you spend watching TV. Or perhaps it’s because those people aren’t watching TV that they’re wealthy. Maybe it’s a little of both, but either way it’s an interesting finding. If your goal is to be financially successful then it may be time to put away the remote. Those that report feeling better are more likely to read and socialize. There’s a lot of correlation with many of these findings, but we’re starting to realize the power of Fake It Till You Make It. In the case of TV, if you want to be happier (along with all the other things mentioned in this post) then cutting TV could be a way to fake happiness until you’re actually happier. Men spend about 5.8 hours each day with leisure activities. Women are at about 5.1 hours. Collectively, we spend 2.8 hours watching TV. That’s more than half of our leisure time going to TV watching. I can say that I’ve been on the higher side of that average in the past. When you think about all the things you’ve wanted to try, but haven’t had time to begin it becomes obvious that TV is cutting into that time crunch. Cutting out TV will double your leisure time. Studies are finding a relationship between watching TV and having poor relationships. It might seem that having a favorite TV show to watch with your spouse or with friends could be a good thing. But the evidence is starting to point to the negative side of things. The big takeaway for me with all this TV business is that I want more time to try different things. TV can double leisure time. And I haven’t really found that I get much out of TV. We’re only around for a short time. It doesn’t really make sense to spend so much time looking at a box on the wall.